Quality assurance (QA) is a process-oriented approach that ensures the quality of the service or a product by preventing mistakes or removing defects in manufacturing products. " Lean Six Sigma is one such worldwide attention gaining approach to implement quality assurance in an organization. Lean Six Sigma is a combination of two individual specialisms; Lean (originally developed by Toyota) and Six Sigma (originally developed by Motorola). 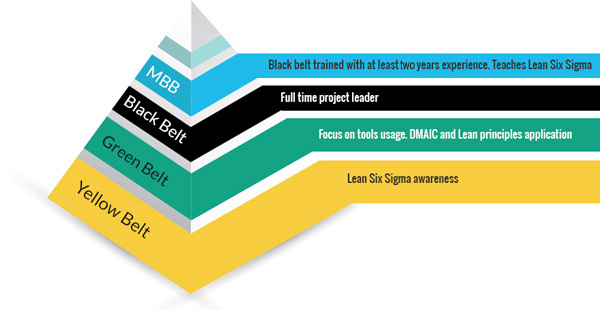 We, Multisoft Systems, offers a comprehensive range of Lean Six Sigma training courses to impart different levels of proficiency through Yellow Belt, Green Belt, and Black Belt training programs. Learning Six Sigma courses from us will help you to implement a systematic process based methodology to bring rapid improvements and, henceforth, deliver qualitative benefits to your organization. Salesforce Training – Learn the Fastest Growing CRM in the World!